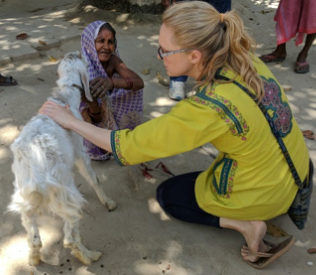 Dr. Audrey Barker founded Mere Saathi in 2010. Dr. Barker is a Baltimore veterinarian and daughter of UUFE members Rita and Don Barker. Mere Saathi’s mission is to empower and improve the lives of impoverished Indian women. We do this by providing specific, needs-based veterinary medicine to the animals in their care. 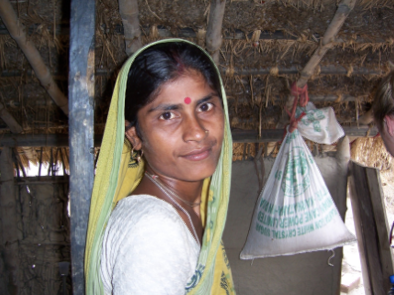 We work with women of the former Dalit (“Untouchable”) caste. They face extreme poverty and gender bias. Working in farm fields for pennies per day, a woman’s wages are paid to her husband. She never sees the money she earns. 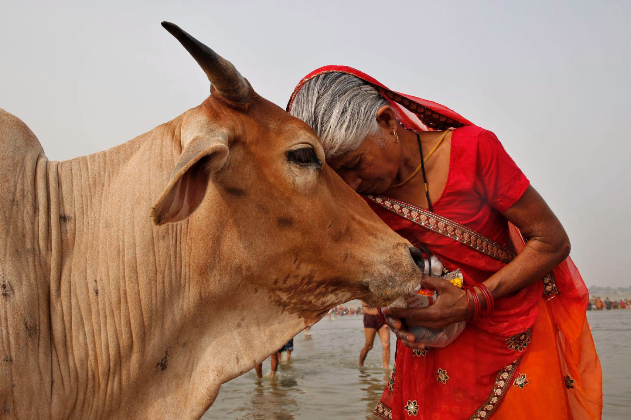 Most women also own several dairy animals – buffalo, cows, goats – that produce milk for the family. Milk provides the only protein for their children. 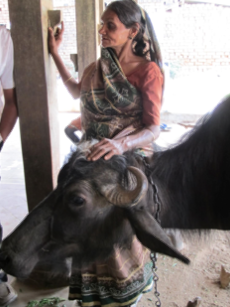 And income for the women – they keep and manage money they earn from selling milk. They spend more for their children’s education and well-being, on average, than men do. Increased milk production is a key to improving the lives of poor village women and their families. 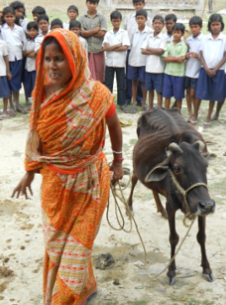 But in poor villages, most animals can’t provide milk enough for family nutrition or extra income. 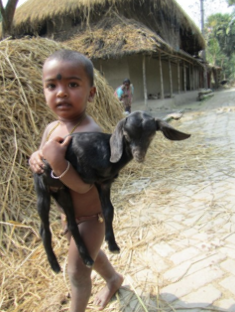 Eighty percent (80%) carry severe parasite burden. Parasites reduce milk production to an average of 0.5 liters per day (vs. 10 liters in wealthier villages and 33 liters on US farms). Animal parasites transmitted to children also cause sickness, slow development, and cause blindness. Our 2018 project will treat 100 dairy animals in each of 3 villages of Mirzapur District. This could double milk production within 3 years. Parasite medications cost $3 per animal per year. All donations to Mere Saathi are for medical supplies and logistics. We train local human health workers to treat animals and people throughout the year – part of our One Health strategy in partnership with Kachhwa Christian Hospital. Our team of volunteers returns to Mirzapur District in March 2018. They donate 100% of their time and pay their own travel and in-country expenses. Your donation pays for medical supplies and logistics.